The Christmas Joy Project is a ministry project of Clear Creek Baptist Church, in conjunction with Touch the World Ministries. Members of CCBC joyfully participate in this ministry to send to the boys and girls of El Salvador. 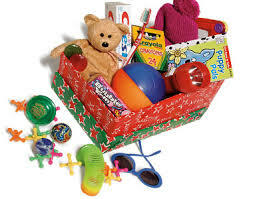 A collection of various toys, clothing, school supplies, candy and other goodies are collected year-round and placed in a plastic shoebox, to be shipped out in the early winter. The boxes are filled with an assortment of gifts, but most importantly is the gospel of Christ, which is shared with each child. Each child receives a lesson in their own language that tells the story of Jesus.